Whether it is Christmas gifts for others or something special for you this is our list of Joburg’s coolest gifts. 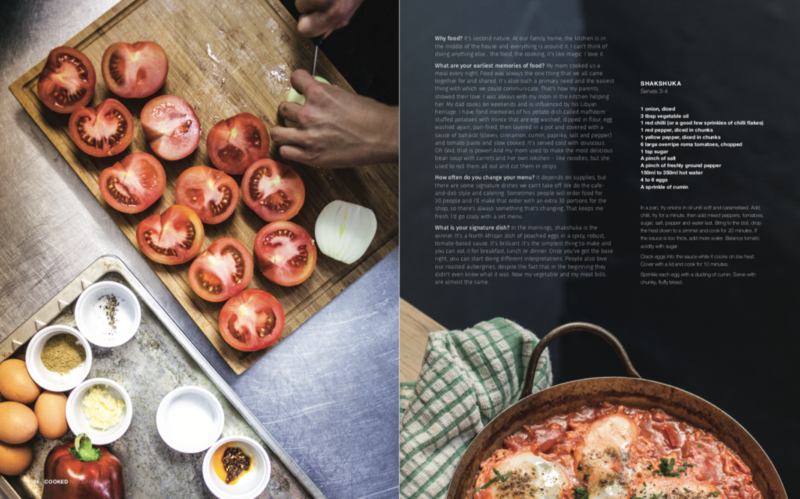 Cooked is a beautiful coffee table book showcasing a range of local chefs and their favourite recipes. All proceeds (100%) from the sale of this book go to the Wish Upon A Star charity to support children with autism. Follow the colourful journeys and memories of over 50 South African foodies from top restaurants to food trucks, market stalls and backstreet bakers. Email henrislier@yahoo.com for orders and delivery or call 082 700 9993. Copies cost R499. 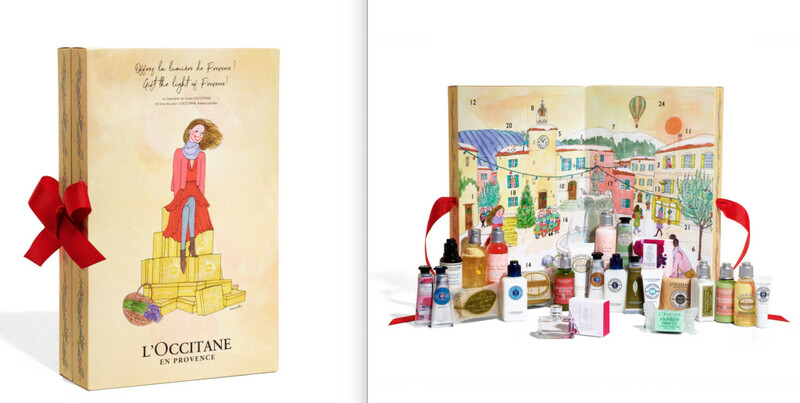 French cosmetic brand L’Occitane has produced one of the most covetable holiday gifts – an advent calendar that offers up a new and delightful product daily. The company has committed to fight avoidable blindness by providing screening, treatment and spectacles as well as working with surgeons towards improved surgical outcomes for people at risk in under-served communities. Until Christmas R50 from every L’occitane star gift sold will go to this cause. Buy consciously. An outlet for former street kids who receive photography training through the I Was Shot Foundation, shop here for handmade notebooks, block-mounted city photographs or cheeky wall-art made from recycled newspaper. From traditional woven baskets made in KwaZulu-Natal to papier-mache creatures from the Kalahari, this beautiful store develops the skills of local craftspeople while providing a space to sell an extraordinary range of high-end contemporary crafted items. 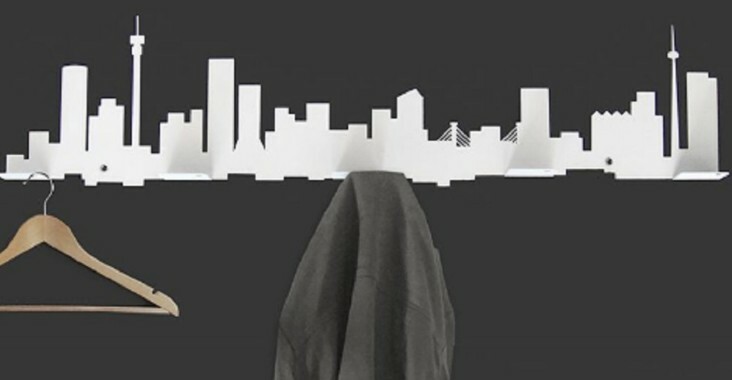 An innovative South African T-shirt and design company mixing urban fashion with social consciousness, stock up on designer T-shirts with Joburg graphics and fabulous laser-cut key, bag and coat racks featuring the city skyline. Treat the kids to a day out at the Acrobranch aerial playground; they get to burn off all that excess energy so it’s a win-win and you can try your hand at one of the more challenging courses like the High Flyer course. From arts and crafts, beautiful leatherware and woven blankets, jewellery and health and wellness products to preservative-free and colourant-free home-baked goods, Joburg’s original market is a great way to ditch the mall scene for last-minute Christmas gift shopping. 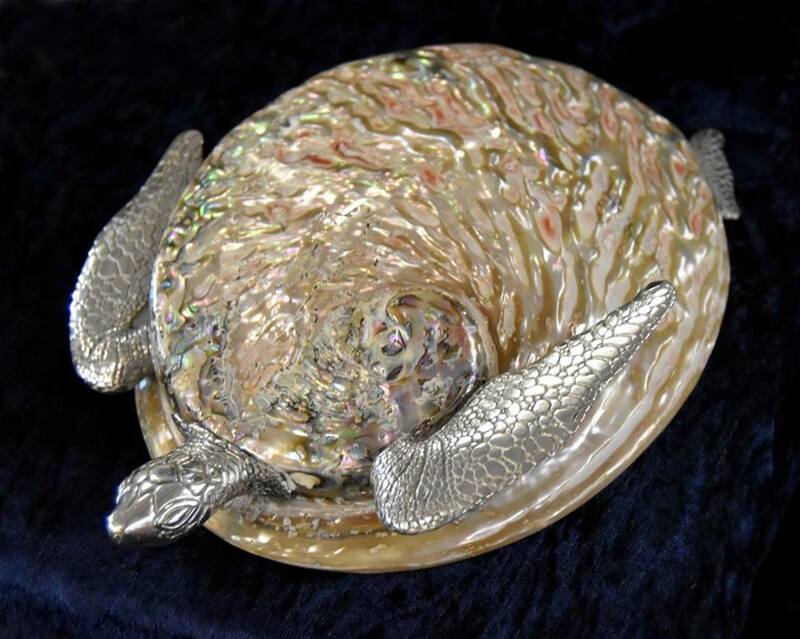 With skilled artisans working with a myriad of materials, from wood and beads to steel and paper, plus car boot sales and vintage clothing and other items, the search for quirky and unusual gift must end here. 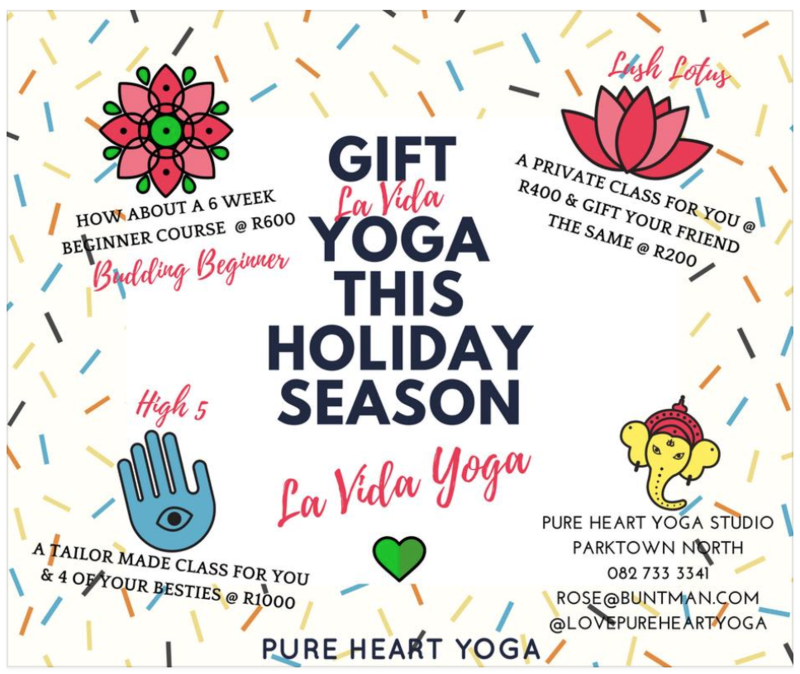 This compact Iyengar yoga studio tucked into the suburb of Parktown North is a great place to introduce a friend to this mindful practice, with plenty of voucher options available. Belgian-trained chocolatier Vicky Bain creates marvellous handcrafted chocolates in unusual flavours, like basil and lime, that are beautifully packaged and sure to please anyone who receives them. While you are at the store sample one of her new chocolate cocktails. Featuring clothing, homeware, accessories and even handcrafted leather shoes from around Africa, head to this Maboneng store for on-trend Afro inspired homeware like cushions made with Masai fabric and shweshwe printed kimono gowns. Referred to as “essentially the jewellery shop of butchers” this butchery belonging to one of Joburg’s top restaurants Marble stocks a fine range of kitchen accessories that include specialised knives, custom-made linens and ceramic ware. A fun clothing and gift store that gives iconic South African and international brands a cheeky twist. Pick up an ‘Amazulu‘ T-shirt (a play on global giant Amazon), or a leopard-print pair of boxers. Krag Drag also stocks a colourful selection of retro-inspired cushion covers, tea trays, slippers, bags and other giftworthy items. The Via La Moda showroom is a mecca for luxury addicts, showcasing an enormous array of finely crafted handbags and other leather accessories in a glorious arrangement of vibrant colours, shapes and textures (said to be the largest display on the African continent). Take advantage of the annual Via La Moda Showroom Sale until Sat Dec 2 for some of the most incredible discounts to be found anywhere in the city this season with up to 60% off Via La Moda’s exclusive range of designer handbags and accessories. Not just another bottle store, this place specialises in expert advice and excellent service and stocks a superb range of local and imported brands of just about anything you might have a taste for. From being featured in Italian Vogue and mentioned on Beyonce’s blog to winning ‘the most beautiful object in South Africa’ title at the 2016 Design Indaba, Maxhosa’s sweaters are on our wishlist. A treat for any budding seamstress, the Oriental Plaza is filled with incredible fabrics. It’s also a great place to shop for fashionable brands, jewellery and homeware at affordable prices. 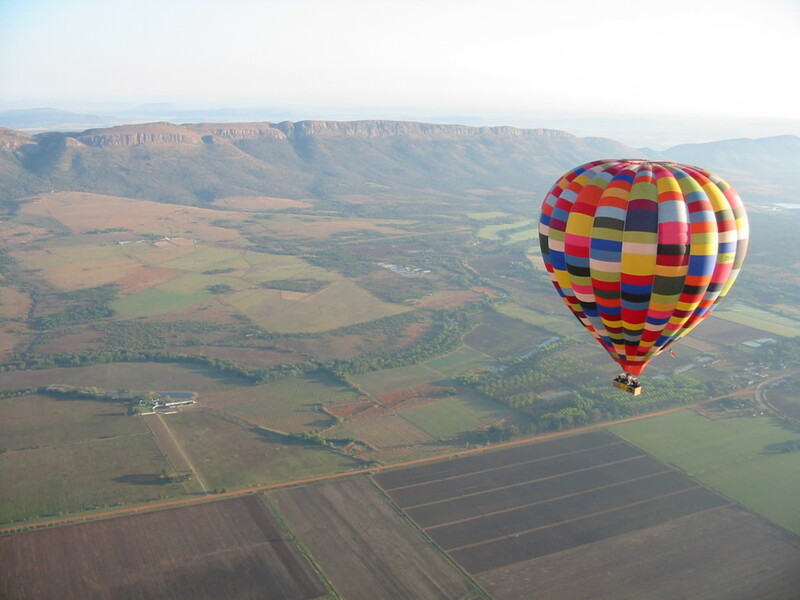 Treat yourself to the most refined and genteel way to travel with a sunrise hot air balloon ride at 2100ft above the Magaliesburg Valley. On a clear day you’ll be able to see all the way to Joburg’s city centre, the glistening Hartbeespoort waterways and to the Cradle of Humankind. Book a fun city tour for you and a friend. Finish exploring Maboneng with a picnic on the Roof of Africa with the Picnics in the Sky tour or cycle through Maboneng, Troyeville and Doornfontein with the East City Cycle tour. A shrine to the designer sneaker, specialising in limited-edition sneaker lines from leading global brands like Nike, Adidas, Puma and New Balance, Shelflife recently launched the newest Adidas Yeezy Boost 350 v2 Beluga 2.0 to queing crows. Find them at Keyes Art Mile. Learn to make the perfect brew and the difference between a macchiato and an espresso with the home barista courses at 44 Stanley’s Bean There and Newtown’s Craft Coffee. A great present for the coffee addict. A refreshing addition to Joburg’s gallery scene, Art It Is focuses on making art accessible and “curating South Africa’s undiscovered art”. Works start from around R2000 with no ceiling price and a wide range of media from prints on paper and photography to large sculptural works.